We have developed a training workshop which provides an introduction to Portage. 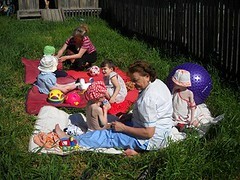 This workshop,developed by Portage Consultant Mollie White, runs over 3 days and is led by a team of Russian trainers. 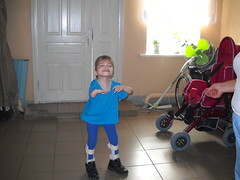 The workshops are run periodically throughout the year, depending on demand, in Ryazan and Moscow. We are hoping to expand to other locations within Russia as required. 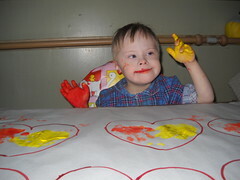 Places are open to people working with disabled children. Currently we do not charge for this training however travel and accommodation costs are met by the participants. 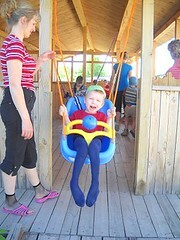 – Promoting social development and managing behaviour. For more information about the next course, please contact Armenui Gevurian, Senior Portage Worker. 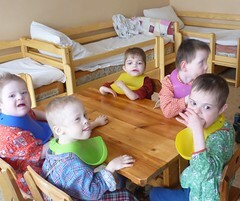 ThePromise can offer advice and support to organisations interesting in starting a Portage service in Russia. It is essential that anyone thinking of setting up a Portage service attends our Portage Workshop. At the workshop, you will meet Portage practitioners and gain an understanding of how the service runs in institutions and in the community. Although ThePromise cannot provide funds for new services, we can support start up services with advice, training and technical expertise. If you wish to know more about Portage, please contact Armenui Gevurian, Senior Portage Worker. 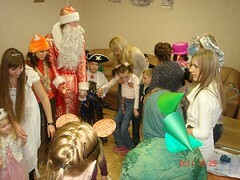 Read more about the successful and first of it’s kind workshop held in Ryazan in 2011. The workshop not only trained new Portage workers but also Russian trainers to deliver Portage training in Russia in the future.